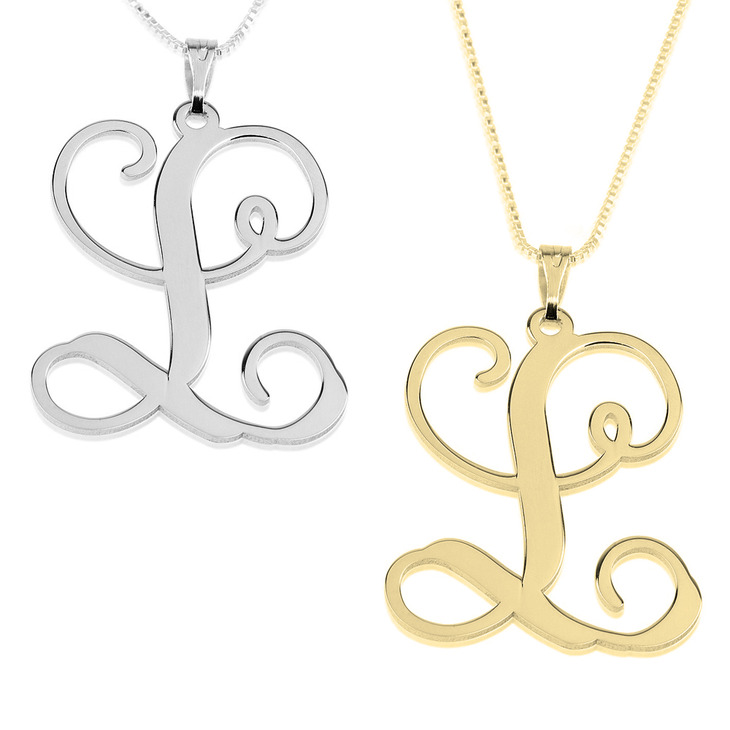 Showcase your individuality with this Script Initial Necklace, with any letter of your choice personalised in a flowing and elegant font. The perfect way to add an effortless glamourous feel to any look, to dress up even the most casual outfit. 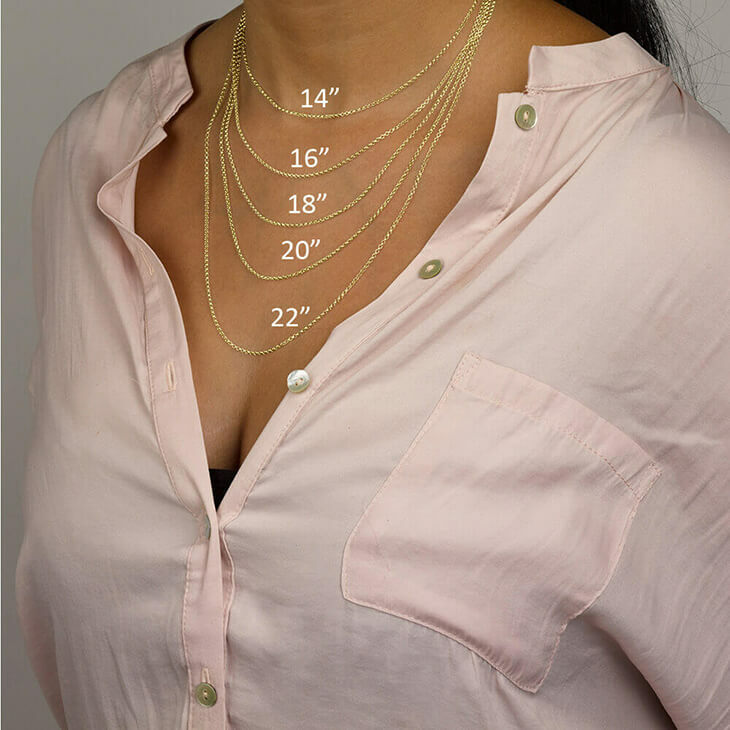 This delicate hanging pendant is made from genuine sterling silver, available as well in rose gold or 24K gold plating. 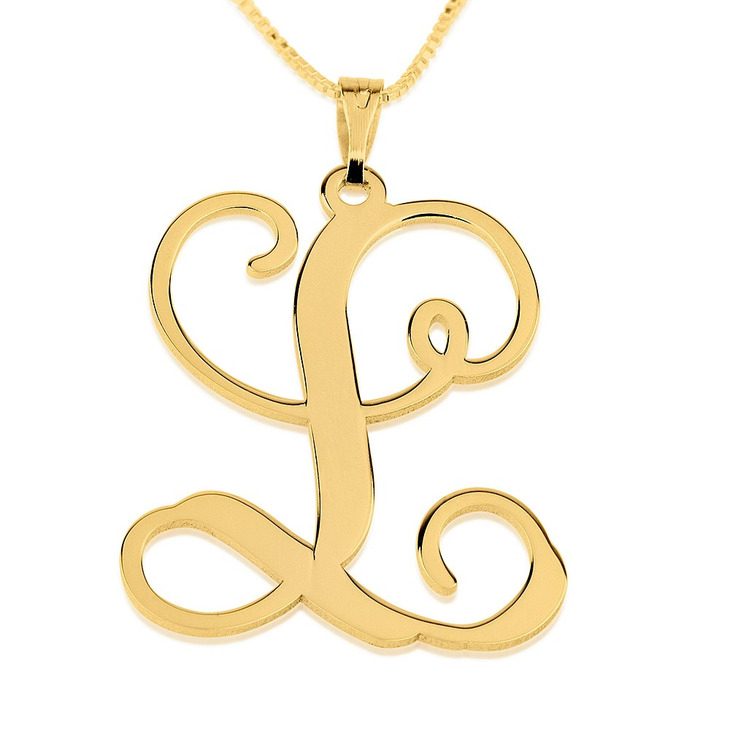 This script initial pendant also makes a timeless and thoughtful gift idea for that special lady in your life. Order yours now! We have been in contact regarding sending you graphics and unfortunately there was a delay with our system and were unable to send you the image of how this looked before this shipped out. We apologize for this inconvenience, and have reached out to you to ensure you will be 100% satisfied with how your item looks, or exchange this free of charge. We purchased and received very quickly - recipient loved it! Absolutely beautiful and arrived quickly!